During the development of China LED industry, Guang Dong Province as a very important global industry center, which has gone ahead of the times in industry cultivation or market promotion. With the opening of LED industry development summit in Guangdong province, reporters specially invited Ms. Wu Lin, secretary of national semiconductor lighting engineering R&D and industry union for an interview about the reform of LED industry development and LED development model in Guang dong. LED is not only a substitute product. LED lighting technology praised as the third lighting revolution has truly entered China for no more than ten years. However, LED industry has made breakthrough development within this short period. Look back on the past, the achievements made by the LED lighting industry is self-evident. 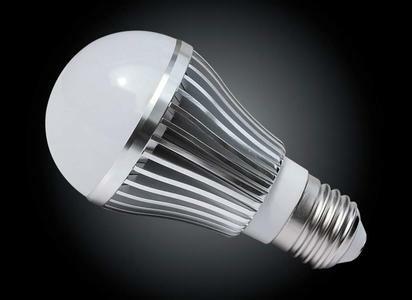 Facing the future, there is huge room for LED industry to develop. Ms. Wu Ling says that LED is absolutely not the replacement and can be developed with multi-functions in the future. Currently LED lighting products are mainly based on alternative light source. For the future lighting based on semiconductor technology will be changed in form, but also in function. Intelligence will be the main stream in the coming ten years. If we take the third generation semiconductor as a big tree, then LED lighting is only a fruit on it. With the urgent and global demand for energy saving and emission reduction, and current information society entering the times of huge data, and mobility information, there is very good development opportunity for the third generation of semiconductor material, which can be widely used in the area of lighting, power electronics, high efficiency photo-voltage, hybrid electric vehicles, high-speed train and other areas for energy saving and emission reduction. It is the core competence for the new generation of information technology like microwave communication, 4G network, high-speed computer, micro sensors, logistics on the internet, cloudy computers, intelligent cities and so on, especially its application in aviation, space communication, ultraviolet detection, remote control and other important national defense areas, which is very important to national information safety and defense construction.